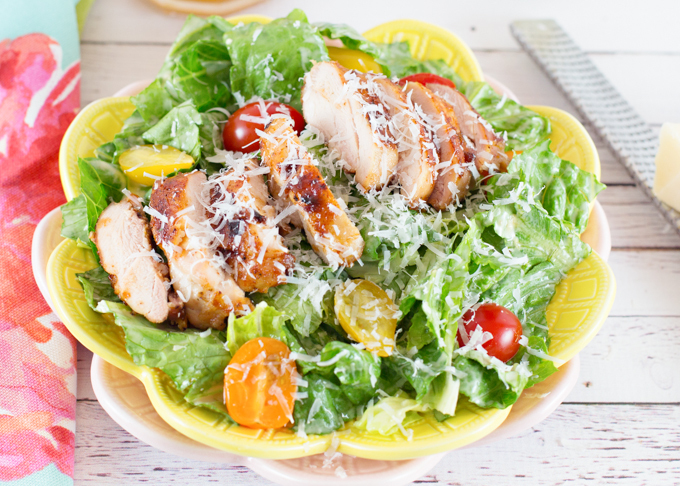 I’m always looking for new salads, after all, I eat salad nearly everyday (sometimes twice a day). 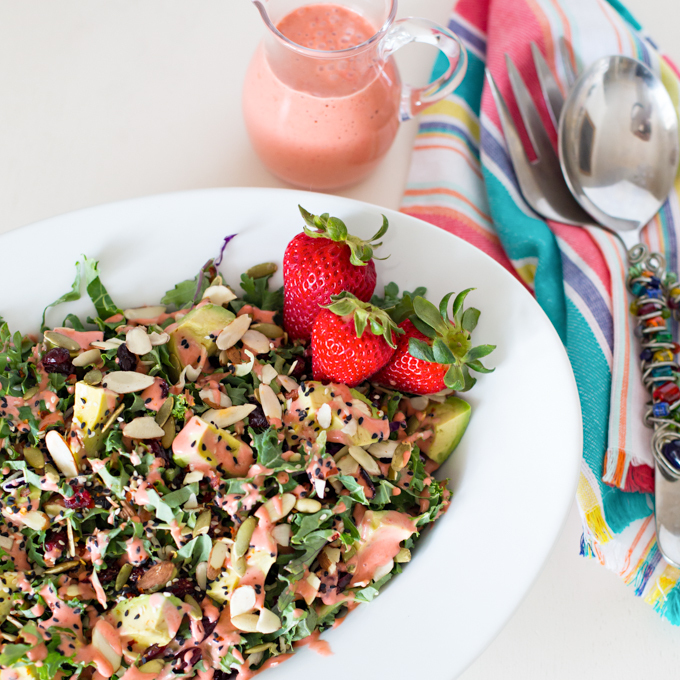 This sweet Strawberry Vinaigrette was the perfect dressing for my kale salad. It would also be delicious on a spinach salad! 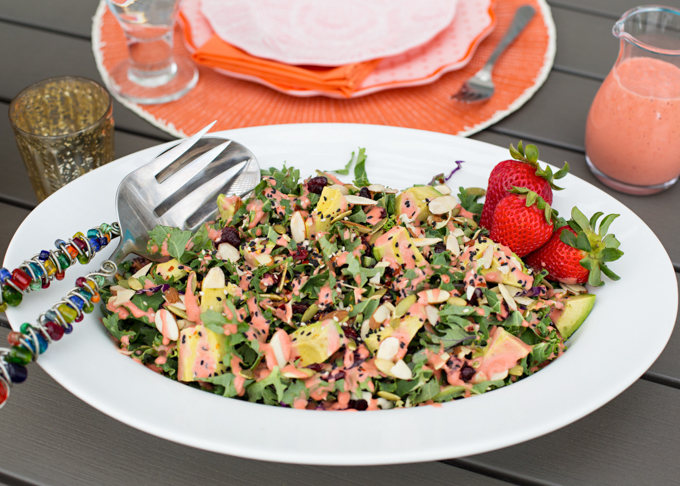 I think this Kale Salad with Strawberry Vinaigrette is quickly becoming my new favorite! I live in California, and there is never a shortage of ripe berries. We can find them year round and they’re always sweet and delicious! Combine all ingredients in your blender. That’s it! It seriously can’t get any easier! 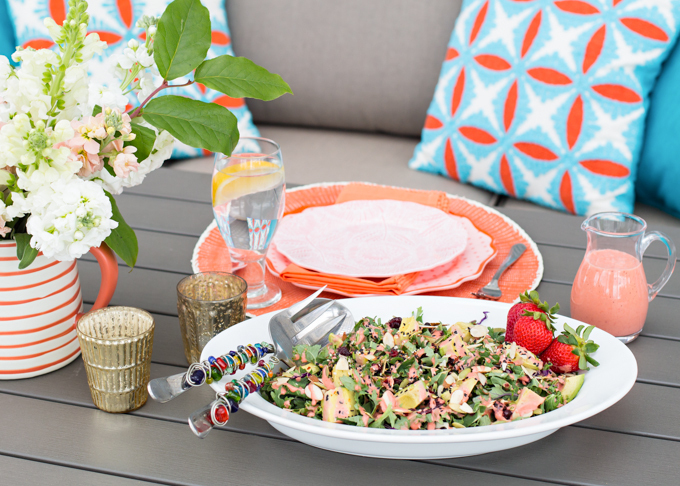 I’m having so much fun with my table settings this summer! Isn’t this the perfect spot for lunch or dinner on a warm summer evening? 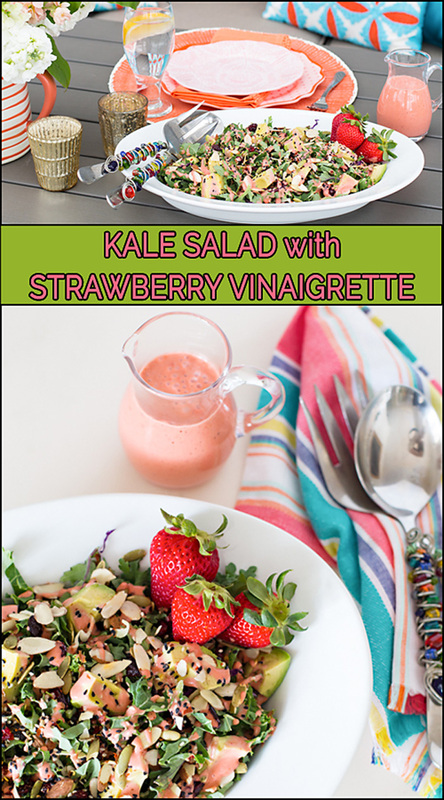 I hope you’ll enjoy this Kale Salad with Strawberry Vinaigrette as much as I do!! For the Salad: I used baby kale salad mix (from Trader Joes). I added fresh avocado, dried cranberries, and a bagged salad topper (contained nuts, seeds, & red pepper flakes). 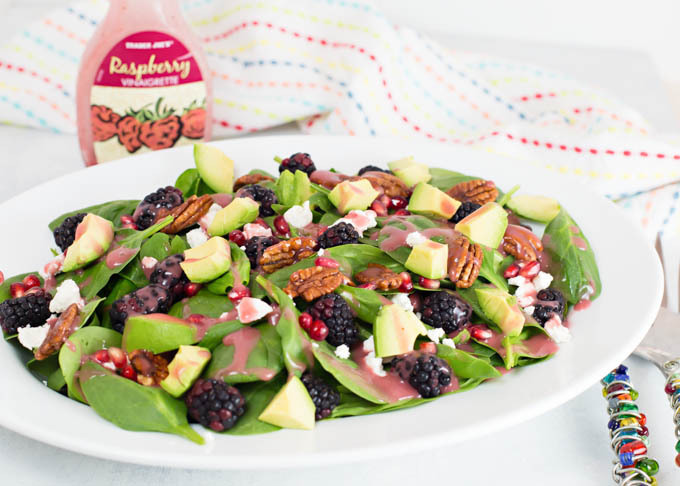 The salad topper (also from Trader Joes) is optional, but I'd suggest some candied pecans or walnuts if you prefer. 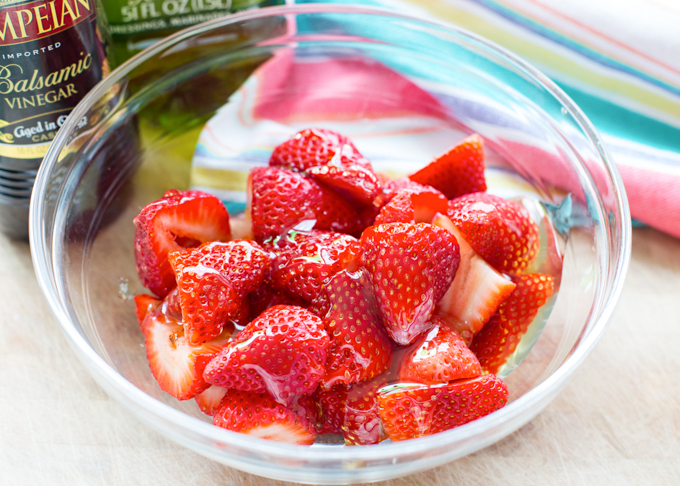 Remove stems and rinse strawberries. 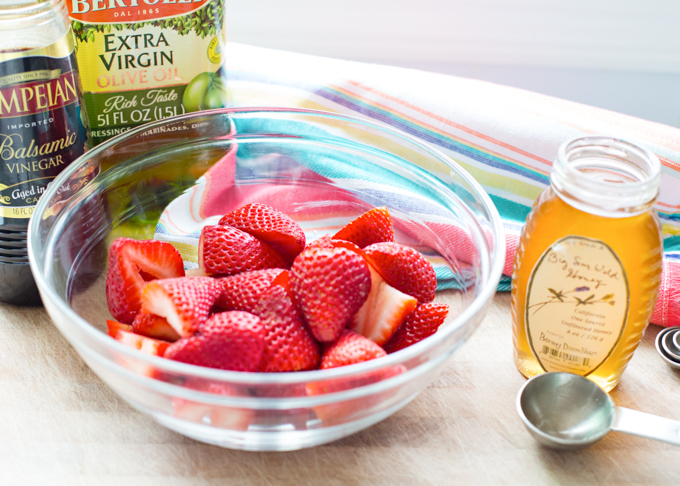 Cut berries in half, place into medium bowl, and drizzle honey over the top. Let sit for 10-15 to macerate (to soften and sweeten the berries). 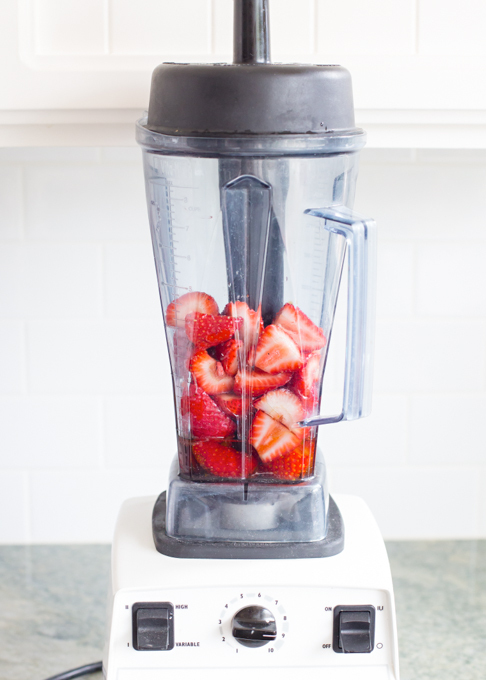 Place all ingredients into blender (strawberries, honey, olive oil, vinegar, salt and pepper) and blend until combined. Add a little extra olive oil if dressing is too thick. 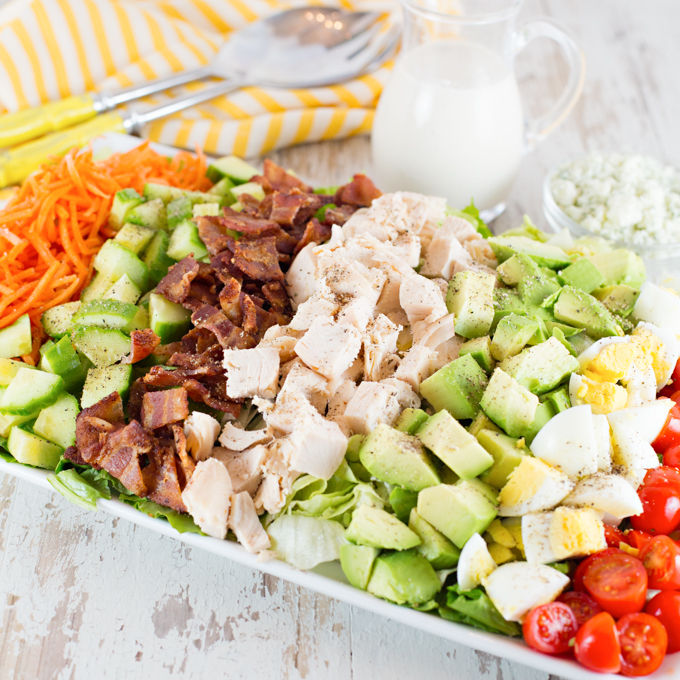 Serve immediately or place in refrigerator until you're ready to dress your salad.